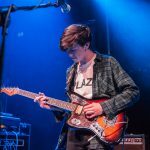 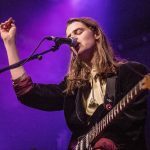 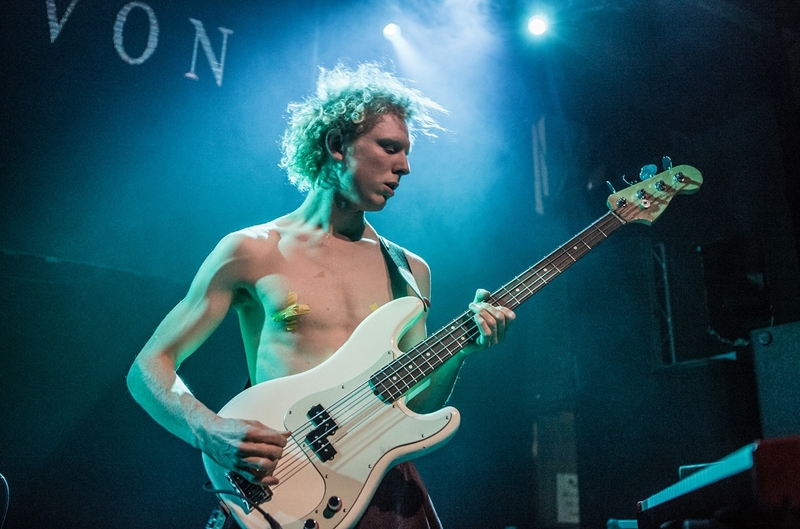 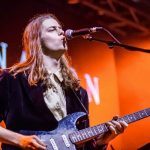 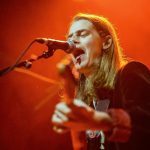 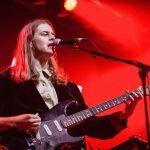 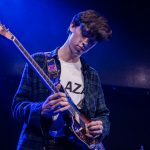 As Blaenavon drop by Liverpool’s Arts Club, Getintothis’ Jackie Lees was there to to take it all in. 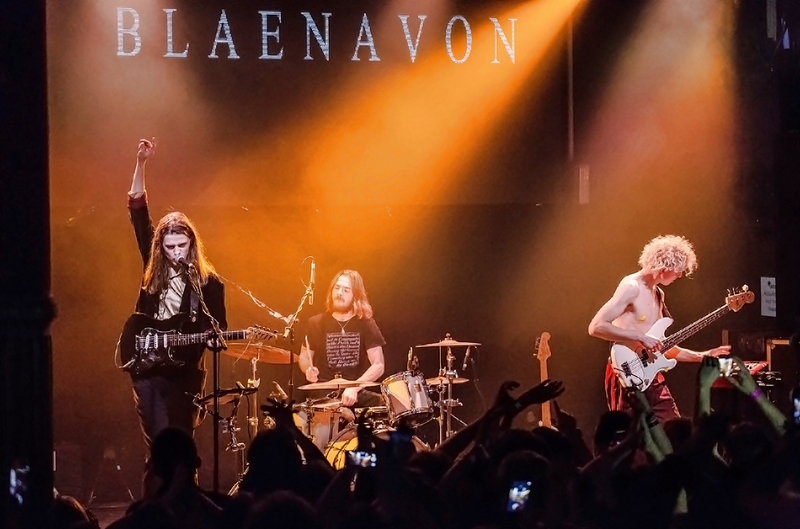 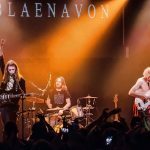 Firstly, let’s clear up the pronunciation dilemma, Blaenavon is pronounced Blyan-na-von (top tip – almost rhymes with Bryan Adams if you say it quickly). 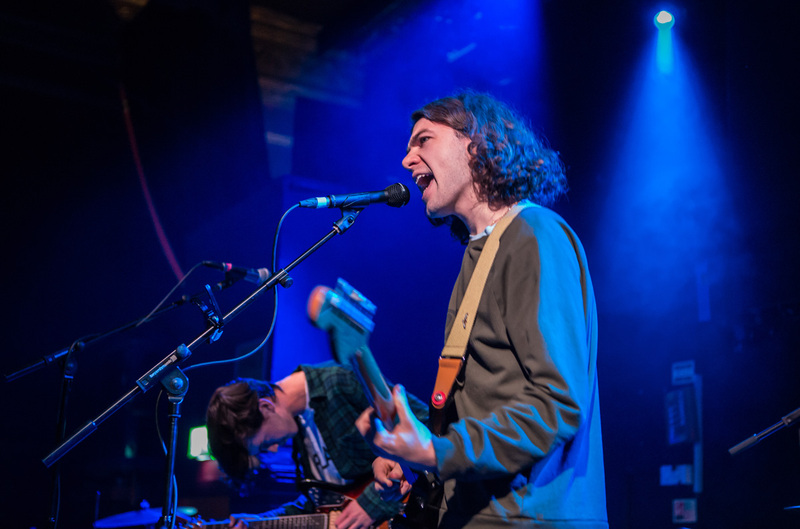 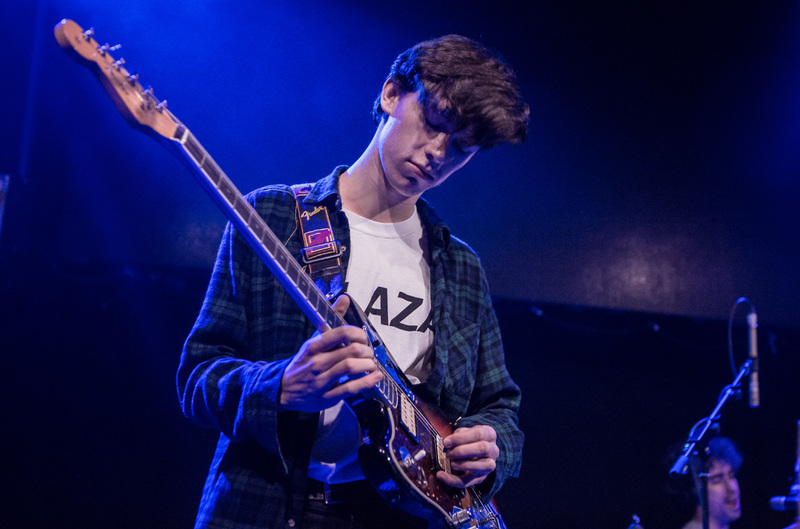 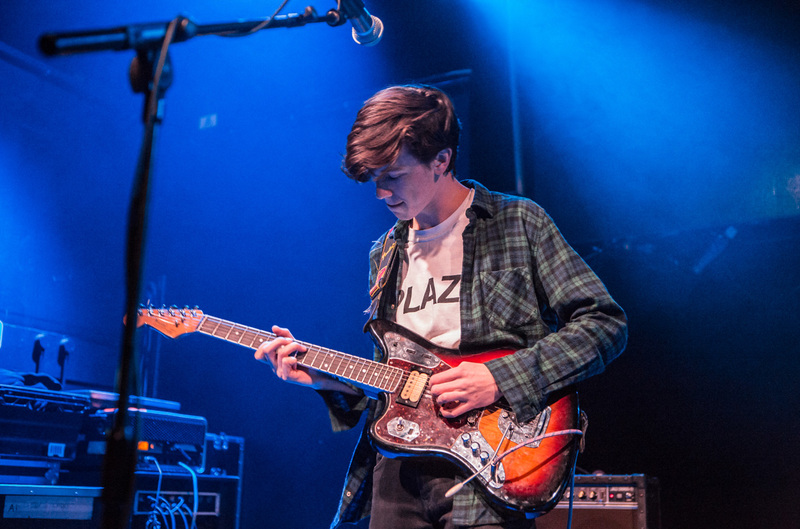 The trio from Hampshire, Ben Gregory, Frank Wright and Harris McMillan, formed in 2013 and released their first single as teenagers whilst studying for their A levels. 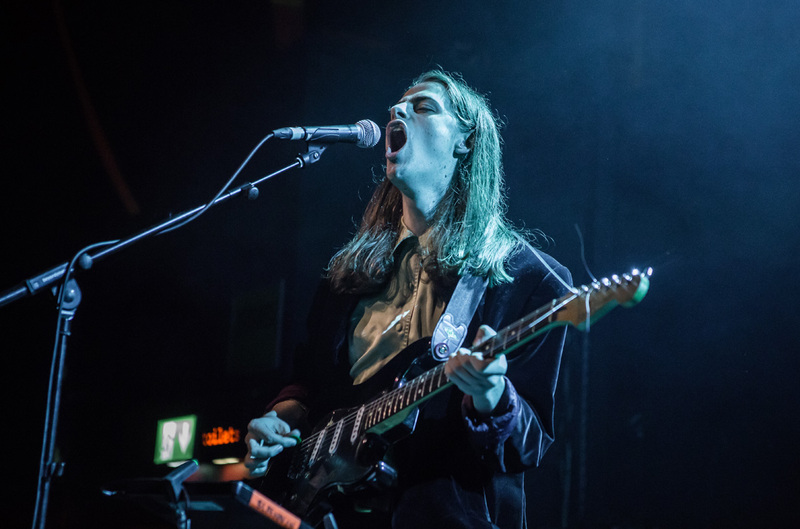 They have this year released their debut album That’s Your Lot through Transgressive Records. 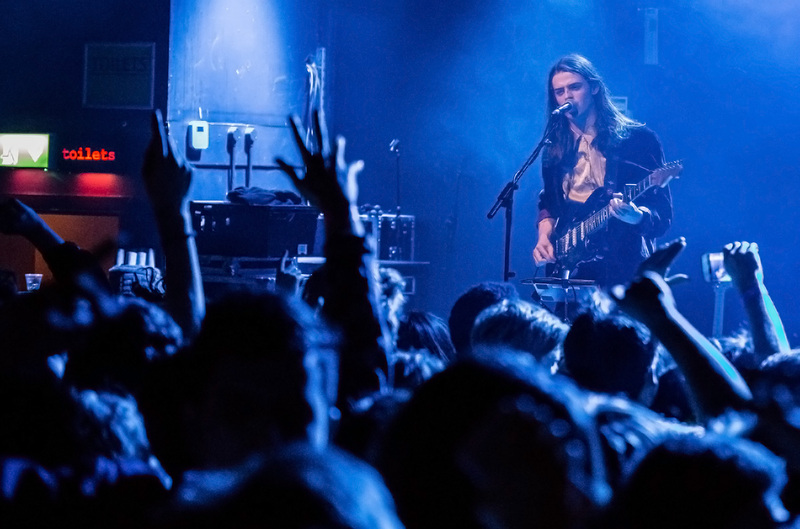 The Arts Club was heaving last night as they arrived in Liverpool, opening their set with Hell Is In My Head, the spirited audience were up for anything, ultimately including facilitating an impressive crowd-surf by frontman Ben Gregory, which saw him take a circuitous route around the venue on top of enthusiastically outstretched arms. 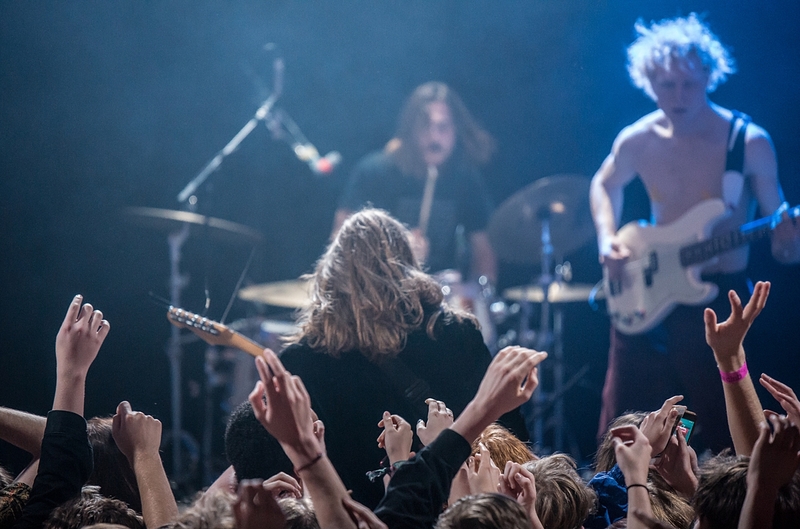 Their music is opposing and contrasting in many senses and yet never loses it’s way or becomes confused. 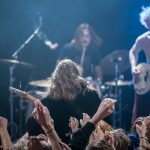 The changes in tempo work perfectly for the crowd, enabling them to mosh, then have a breather to sing along for a while, then launch into bouncing again. 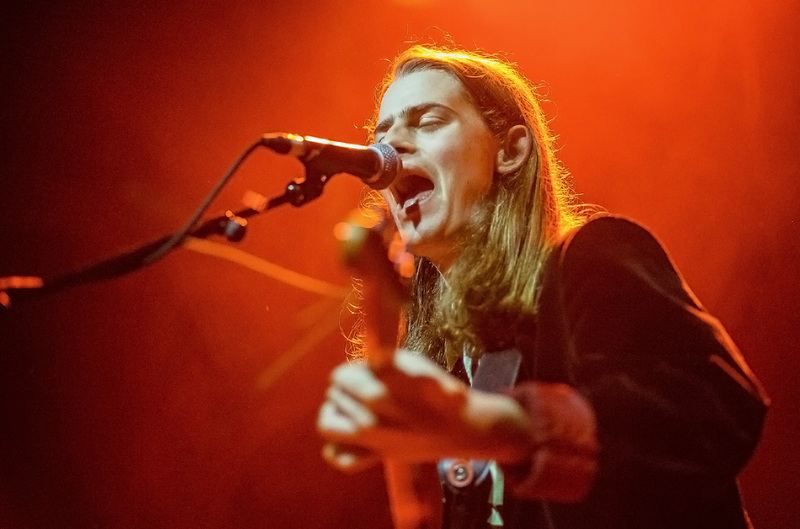 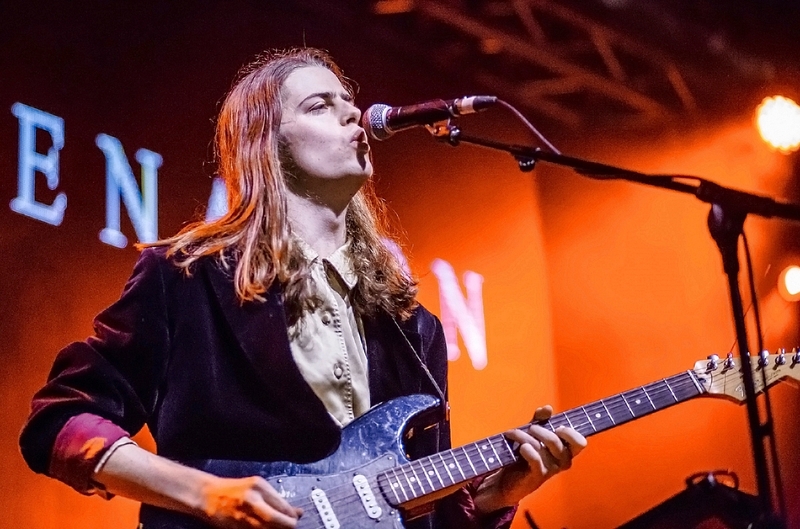 Blaenavon have sunny riffs and catchy melodies set alongside dark, fragile lyrics, either of which, if taken alone would set an entirely different tone. 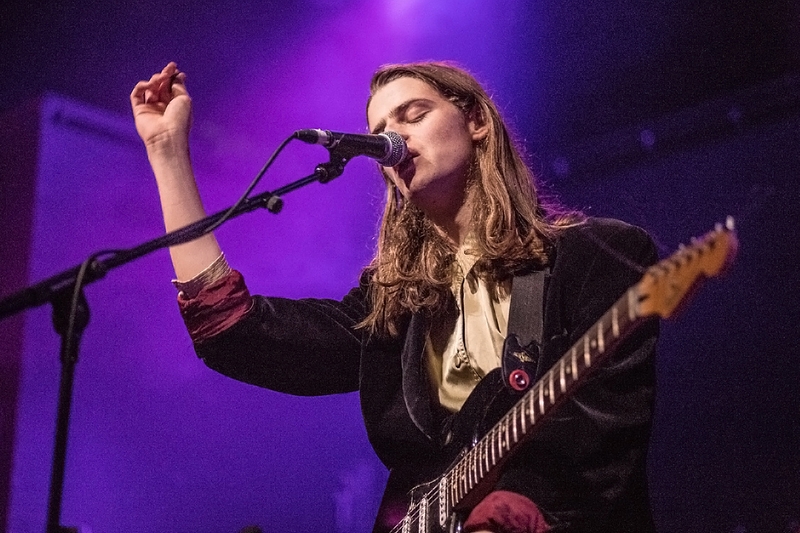 Their songs can be sweepingly cinematic in their scope and then, suddenly personal and intimate. 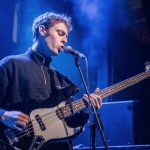 Gregory‘s vocal delivery, sometimes reminiscent of Morrissey, sometimes with hints of Bastille’s Dan Smith, conveys intense emotion often hauntingly so, even when set against the more upbeat, poppy hooks. 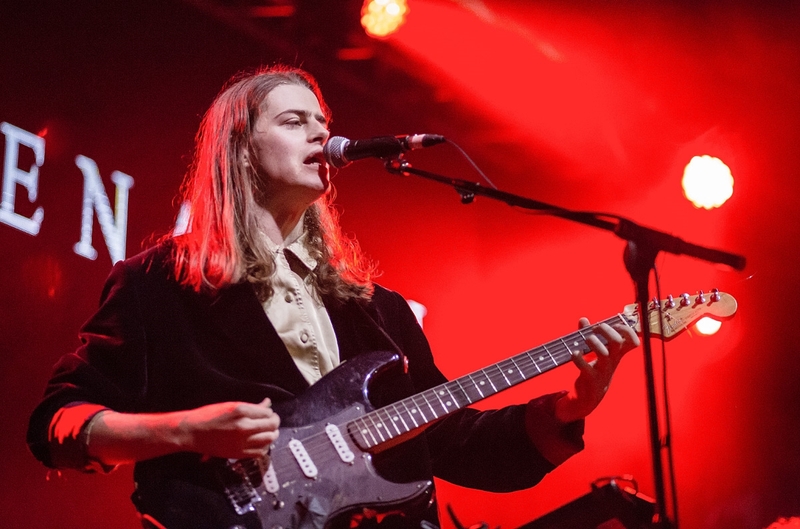 This band have many layers, they are complex and yet simple, dark and yet light, upbeat and yet melancholic, youthful and yet mature, transitional and yet steady. 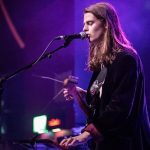 With endless fascinating depths to be explored the contrasts never seem accidental or unintended but draw you in and leave you thoughtful. 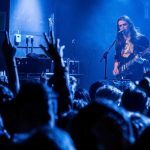 They produce music with hidden elements that might cause you to hear the songs differently depending on your own mood and circumstances, well crafted songs that have hidden passageways to other dimensions. 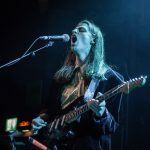 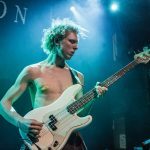 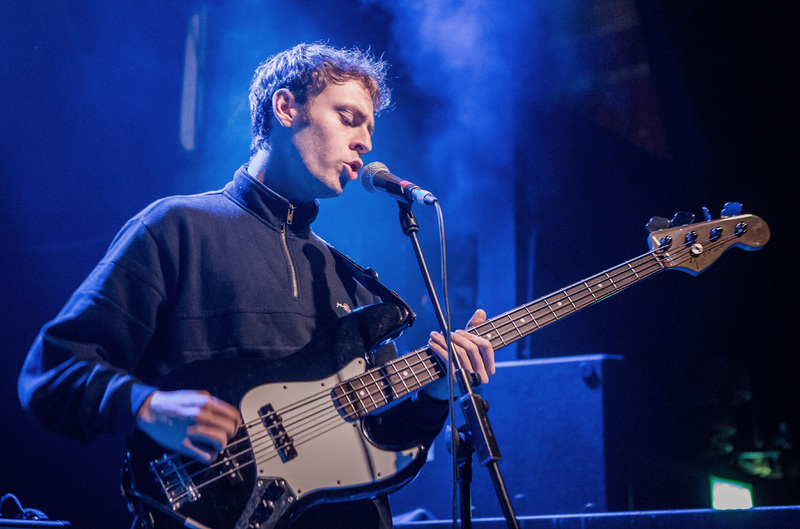 In addition to tracks from the album, there were brand new songs on offer, The Monte Carlo Kid and All Your Vanity, giving us an insight into what is to come and reassurance that, after an album entitled That’s Your Lot, there will in fact be more. 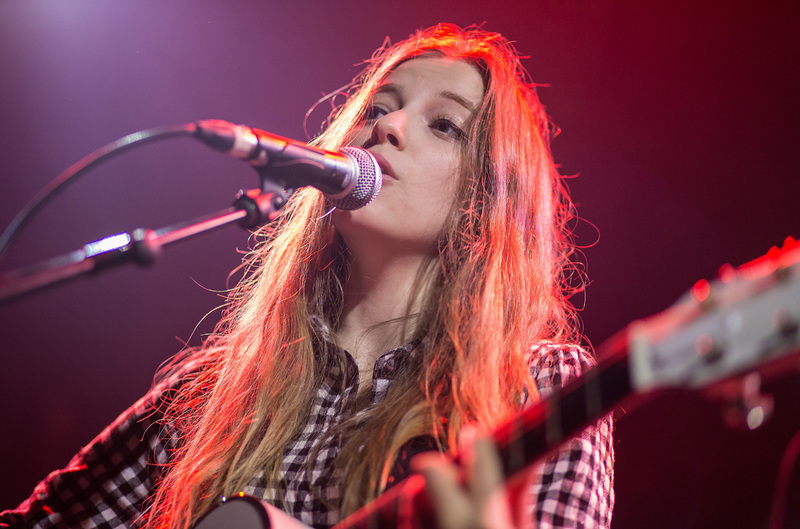 The trio closed with Orthodox Man and Prague 99, leaving the youthful crowd wide-eyed, sweaty and reluctant to leave. 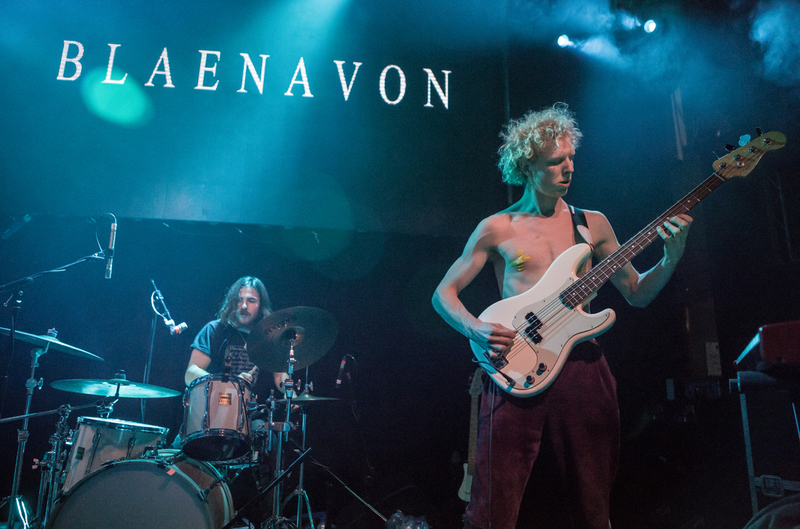 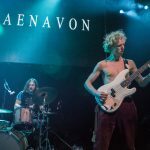 Their skillful set was a representation of the years spent honing their talent and learning their craft between the ages of sixteen and twenty-one, a transitional time when experiences are felt intensely, a time when nothing is certain and everything is possible, which is beautifully reflected in Blaenavon‘s music. 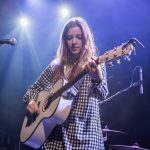 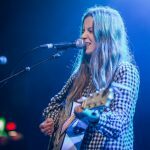 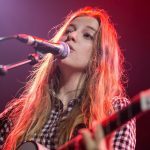 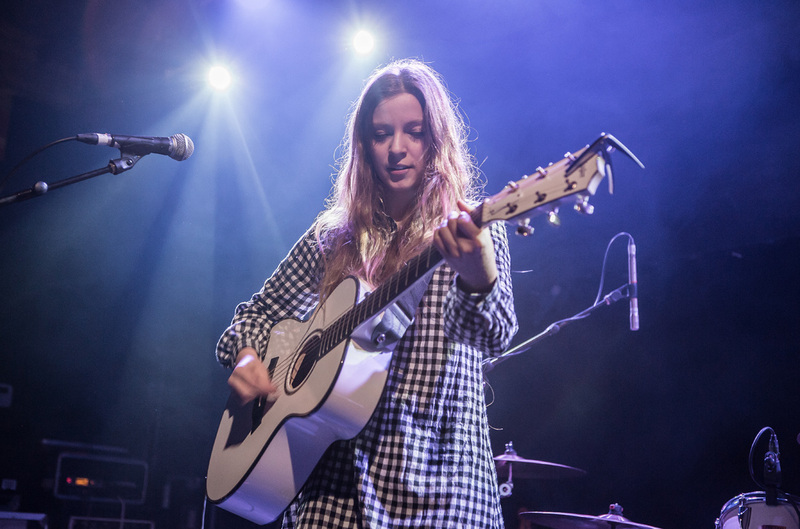 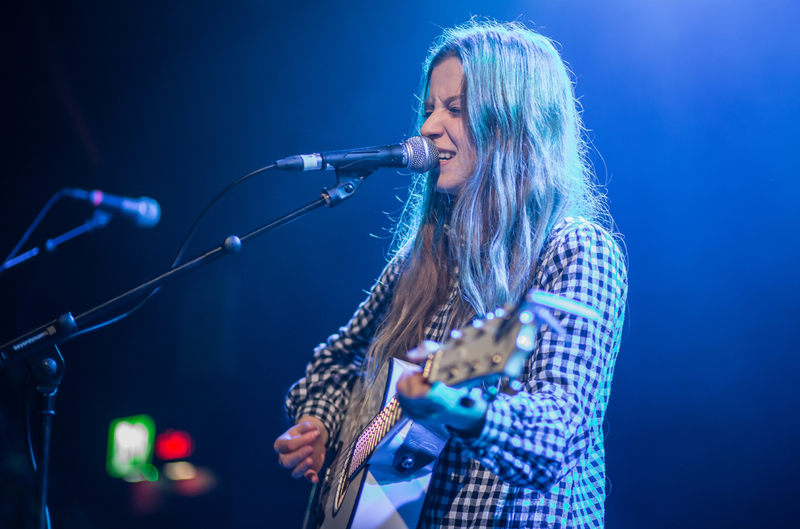 Supporting Blaenavon were Jade Bird with her accomplished acoustic set fresh from supporting Jake Bugg earlier this week at The Phil and Liverpool’s own The Night Cafe, who had enormous home crowd support. 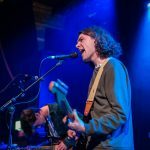 Frontman Sean Martin and fellow band members Josh Higgins, Arran O’Connell and Carl Dillon played a tight set with distinctive harmonies and genuinely seemed to be having a great time together. 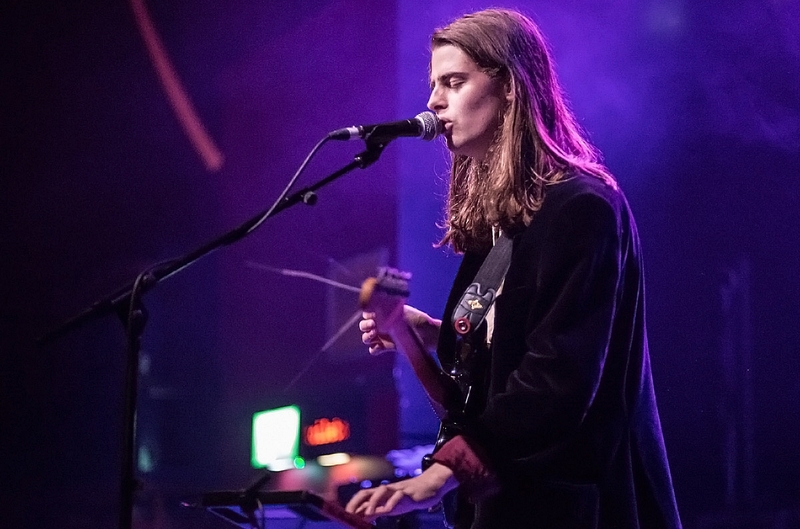 Closing with You Change With The Seasons, their feel-good music and enthusiasm was heady and infectious.